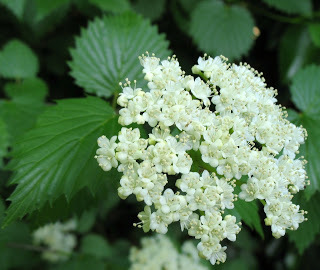 Viburnum dentatum 2012.usinggeorgianativeplants.blogspot.com (Accessed 5/2015). 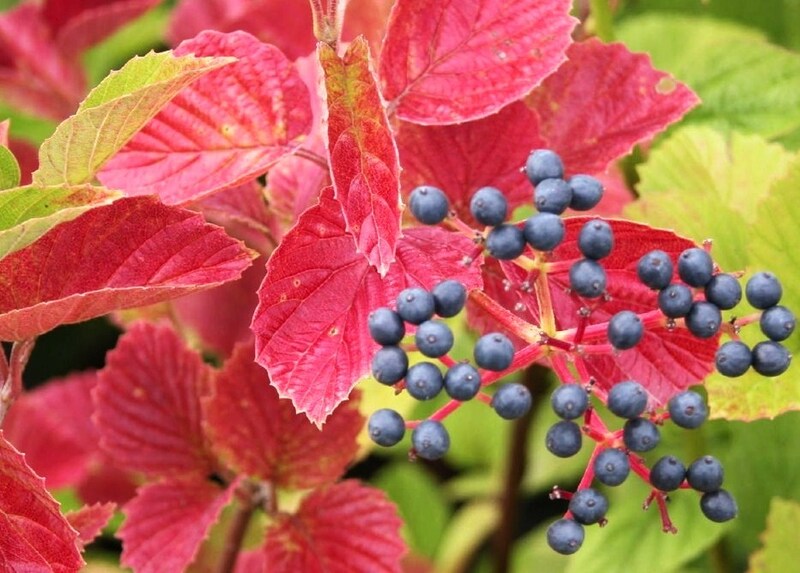 Viburnum is a genus of shrubs or small trees. Leaves opposite, simple, margins often toothed or lobed. Flowers white, small, 5-parted, tubular at base, petal lobes bell-shaped (campanulate) to horizontally spreading (rotate), sepals fused at base, stamens 5, longer than petal lobes; inflorescences of umbrella-shaped clusters. Fruit fleshy, 1-seeded (a drupe), usually blue, black or red. Dispersed by birds.